Readers with good memories may recall that when Windows NT was launched, it came in Workstation and Advanced Server editions, with the former fulfilling most duties of a server. There were no limits on TCP/IP connections, for example. Just as its developer Dave Cutler intended. When, a little later, Linux vendors packaged their distros into "Workstation" and "Server" editions it was just that: packaging – nothing prevented you turning a Linux Workstation into a Server. That was rather the point of Unix. But when Microsoft realised people were running the $800 cheaper Workstation edition as a departmental server, the beancounters panicked, and Microsoft introduced an artificial technical limitation. For nostalgia's sake, the last time Workstation booted it sounded like this. The sound of the future. By the end of the 1990s, "Workstation" had become passé, or perhaps Microsoft thought they reminded the market of that useful Unix thing. For whatever reason, the moniker has been completely absent from any Windows SKU since the year 2000. But not any more. Last year Microsoft announced a high performance "Workstation" edition of Windows 10 aimed, it explained, at "mission critical systems". It was accidentally unveiled under name "Windows 10 Pro for Advanced PCs" – a more accurate description – before Microsoft marketeers adopted the Workstation name. What does this actually mean? There's actually a bunch of high-performance features in this edition, and a couple more have been added overnight via the Insiders preview scheme. Although a leopard doesn't shed its spots overnight, or even after 18 years. Windows 10 for Workstations will now run on Xeon and Opteron machines with up to four CPUs – somewhat short of the thousands supported by Linux – and up to 6TB of RAM. The high-performance file system ReFS (Resilient file system) from Windows Server is included, with an eye on users who use RAID setups. New today is power management for systems where low latency is important, and where tasks should not be slowed down by aggressive battery conservation techniques. 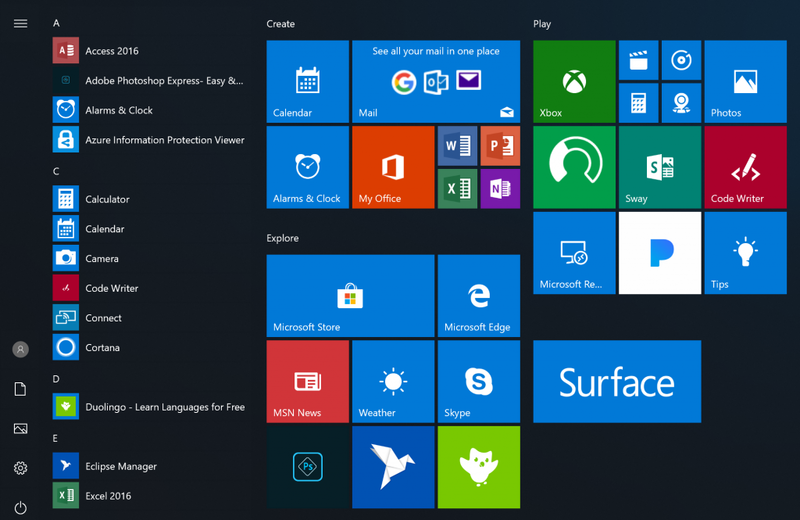 And the biggest feature to date: Microsoft has removed Candy Crush and the other consumer junk from the start menu. Or as Microsoft puts it: "You will see for Windows 10 Pro for Workstations productivity and enterprise focused applications in place of consumer applications and games. This was one of the top feedback shared with us by our partners and users and we're delivering this in our next update."